You have the following 4x6 chocolate bar. The question is what is the least amount of cuts you have to do in order to create 24 pieces of 1x1 chocolates. 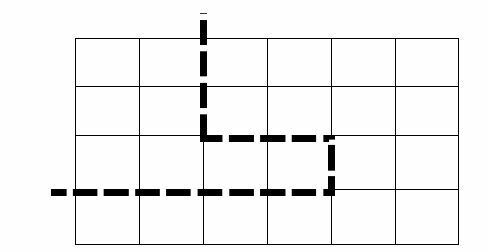 the cuts can have any shape they want as long as they start from a point in the perimeter and end on another point of the perimeter. The line cant hit itself and every time we cut the chocolate we separate the pieces and cut each piece on its own. you need 23 cuts, no matter how you do it. Each cut adds one piece to the total number of pieces you have. You need to go from 1 piece to 24 pieces, so you need 23 cuts total. 3. 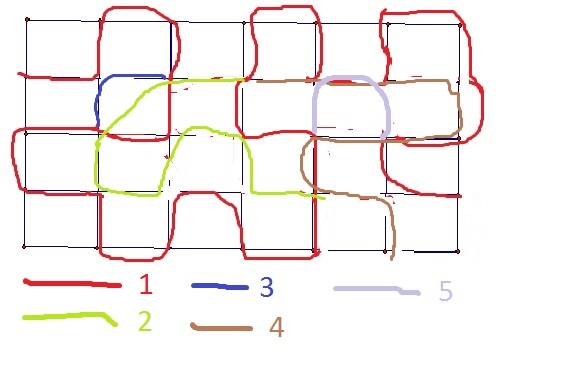 To do this, first cut into two spiral pieces as shown below, then deal with each piece with a single wiggly cut. You can't do it with fewer. The first cut can't completely cut off any square that's not on an edge, because it would have to hit itself to separate that piece. If the first cut leaves at least two larger pieces, you need to cut each of those at least once. 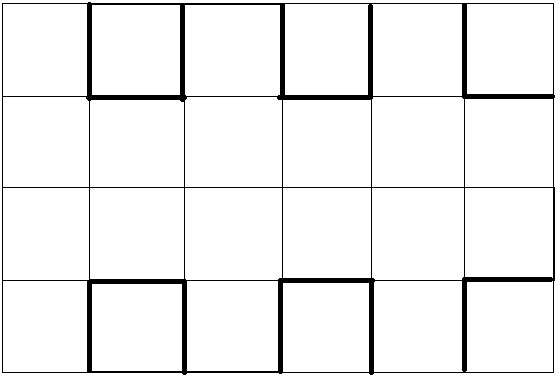 So the only option is that you separate some single squares and one larger piece with the first cut. 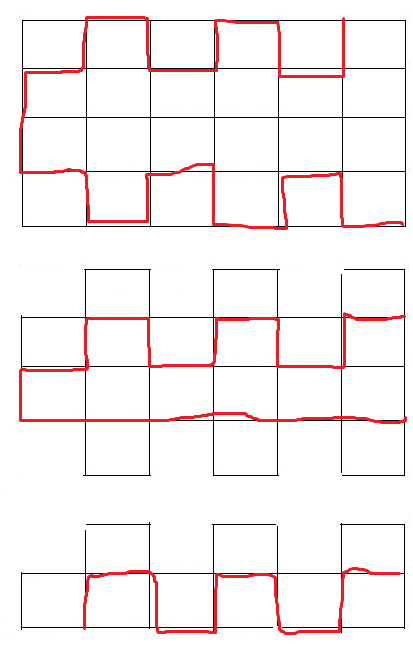 Since the first cut doesn't meet itself, you can't separate two adjacent single squares with it, and so the large piece must have all the interior plus some squares on the boundary. 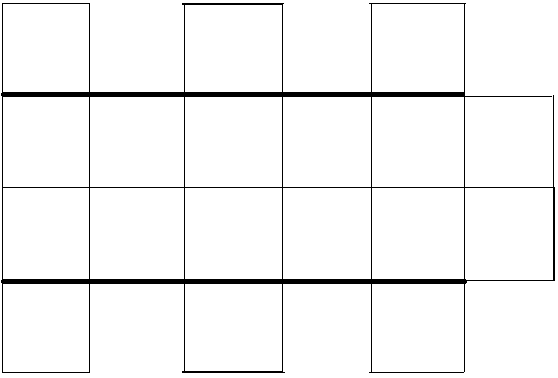 Now you have the same problem that some squares have adjacent squares on all four sides, and these can't be separated with a single, non-self-intersecting cut. Of course, if cuts aren't allowed to hit the perimeter in between (and I suspect that is the intended interpretation), Deusovi's answer is correct. 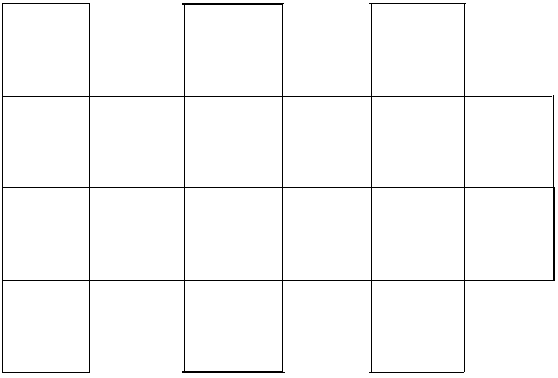 You now have twelve 1×1 pieces and a 6×2 chunk (from the center of the 6×4 bar). 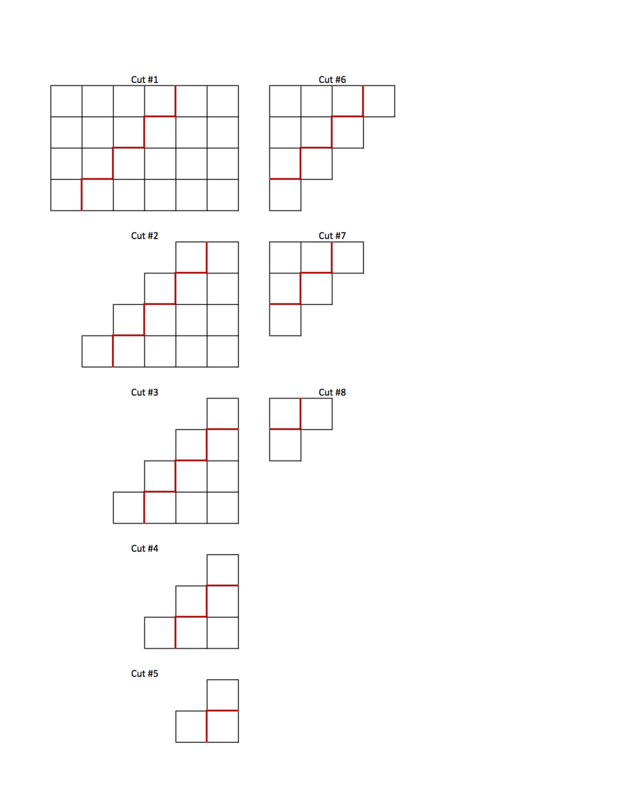 That can trivially be cut into 1×1 pieces with $11$ cuts, so the entire job is done with $6+2+11=19$ cuts. I’m sure that this can be improved further. My formalist solution, in which I take no pleasure. Five cuts. I hope my color guide is clear. How Can I Safely Double The Length of A Ladder?